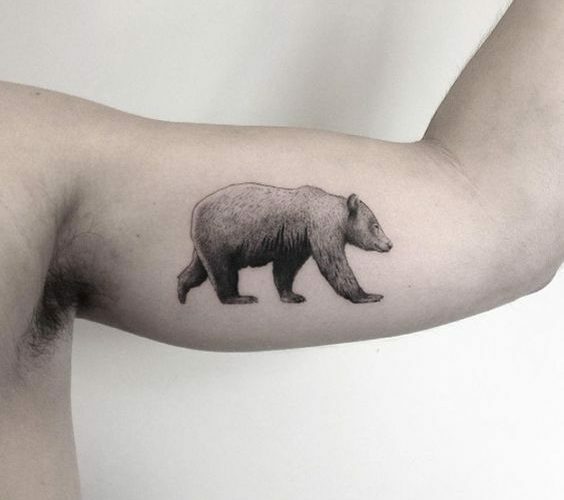 Bear tattoo is an excellent choice for nature lovers. 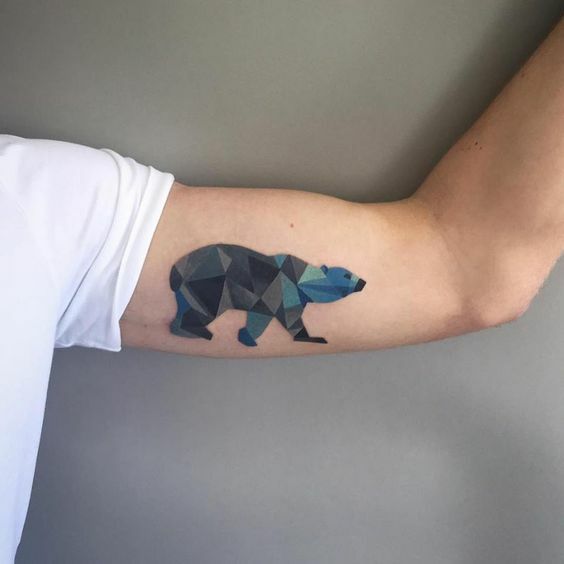 Although, despite its beautiful look, the bear tattoo can have many different meanings. First of all, it is because there are many species around the world. Secondly, the symbol of the bear varies from region to region. If you are thinking about a bear tattoo, we invite you to read further to learn more about bear tattoos. 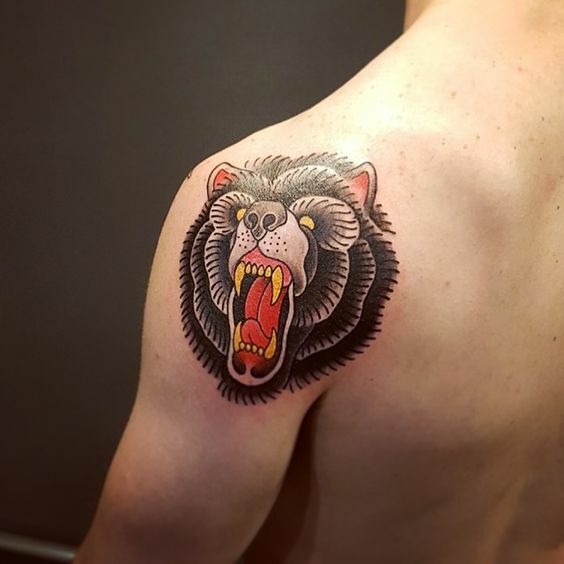 What does a bear tattoo mean? As we’ve mentioned before, the meaning varies depending on the part of the world. For example, the seven tribes of the Great Sioux Nation believed that the bears had a power of healing. There’s an old legend about a bear that managed to heal itself by eating the leaves of Oxalis oregana. He spread the word of this plant’s healing powers to his brothers and sisters in Sioux Nation. Also, in other Native American tribes, the bear was a symbol of the tribe’s warriors. Meanwhile, the Nordic people often portrayed their god Odin as a bear. Also, the early humans used the fur and the bones of these animals, because they thought that they would get the bear’s strength and the vigor. The polar bear has a significant cultural and spiritual impact on the local Arctic people. The Eskimos revere these animals because of their excellent hunting skills. Meanwhile, the Nenets of Siberia believes that the amulets made from polar bear teeth protect them from all kinds of evil. The Inuit and Eskimo tribes also have a lot of tales and legends of the polar bear’s love and devotion to their baby bears. Tattoos are an excellent way to show these mighty and majestic animals. 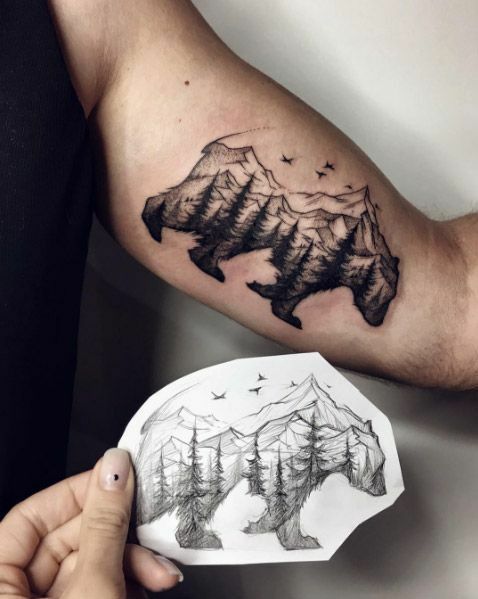 Bear tattoos are suitable both for men and women. As for the placement for a bear tattoo – we suggest forearms, thighs, and chest. Although you should not stick only to these and it is up to you. However, you should remember that the bear is a detailed design. So if you are going to get a more prominent tattoo, don’t put it on the small body part like hand, feet or neck. For larger pieces, the best parts are back, shoulder blades or the chest. 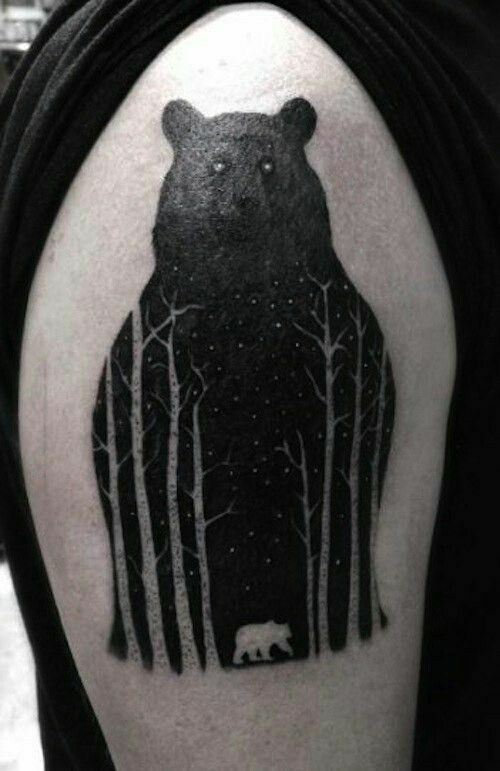 But if you want a small tattoo for example just the bear’s head, you can put it on almost every part of your body. We’re sure it will look good anywhere since the bear is such a beautiful animal. Take a look at our bear gallery. 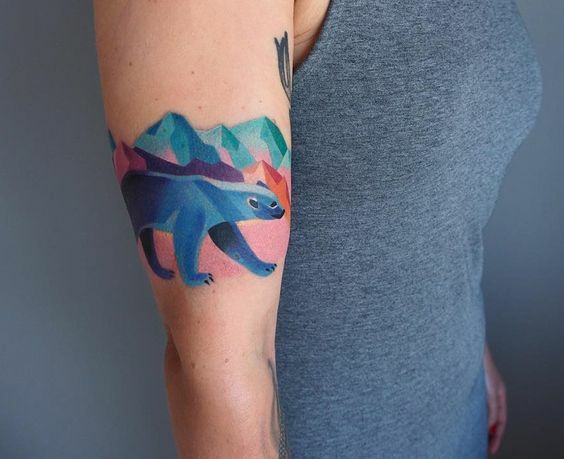 We’re sure you will find inspiration, and your bear tattoo will be awesome. Also, remember to be creative and make something original out of these ideas! Ask your tattooist to help you sketch if you can’t draw. Don’t forget to leave a comment below and check out our other animal tattoos.